Hello, Autumn! Okay, while the Philippines might not have an actual “fall season,” we can still live vicariously through our makeup looks and all the amazing products that are coming out. #WorkWithWhatYouveGot, right? From super bright and nostalgic eyeshadow palettes that remind us of our childhood, to the most gigantic shade range expansion by Tom Ford, we’ve got your eyes, lips, and nails covered! Grab a cuppa, and read up on a new way to get your caffeine fix and how Maybelline may just be bringing out their most epic mascara yet. Oh, and did we mention Kylie’s new Lip Kits? You’re welcome, PV girls! September 13 was a big day for local beauty brands as Happy Skin Cosmetics launched their biggest and possibly cutest collection yet - the Happy Skin x Sanrio Characters line! At the launch event, fans finally got to try the 23-piece collection first hand. Celebrities like Carla Abellana and Tessa Prieto-Valdez were decked out in their cutest attire, while the brand's Girl Bosses Rissa Mananquil-Trillo and Jacque Yuengtian-Gutierrez welcomed the guest of honor, Hello Kitty herself! The special guests didn’t stop there as Virgie Ramos was also honored for her efforts as the first ever agent to bring Sanrio into the Philippines through her Gift Gate stores. Sanrio representatives Yandy Wa and Ivan Wong were also present to commemorate this milestone. The entire Happy Skin x Sanrio Characters Collection is now available in all Happy Skin stores and kiosks as well as on their website and Zalora! Happy shopping, girls! Olay, our mom and lola's favorite, is a cult brand for a reason. It's always ahead of the game by constantly improving their well-loved products. This year, they just announced massive news: they've reformulated the Olay White Radiance, Olay Total Effects, and Olay Regenerist. But why reinvent something that already sells well? The new formulation is backed up by thorough research and analysis from Olay’s Multi-decade and Ethnicity Study (MDE Study), together with Harvard Medical School’s Dr. Alexa Kimball. This extensive analysis of skin from a multitude of women of various age groups and ethnic backgrounds showed that 10% of women, dubbed as “the lucky few”, carry a genetic code for naturally beautiful skin that maintains its youthful look even as they age. Activating the skin’s genetic code to mimic that of the lucky few is why Olay decided to reformulate, because nothing should stop women from choosing to make their own luck. So yes, #MakeYourOwnLuck and discover the newly reformulated Olay White Radiance Light Perfecting Essence, Olay Total Effects Day Moisturizer SPF 15, and Olay Regenerist Micro-Sculpting Cream available at Php1,299 SRP, Php799 SRP, and Php1,899 SRP respectively. While now available in Lazada and all major department stores, you can also learn more about the new line by following Olay Philippines in Facebook, Twitter, and Instagram. If you're a child of the 90’s, you're in for a trip down memory lane! Lime Crime Cosmetics is launching a makeup collection that harks back to a toy that we all loved growing up. These eye shadow palettes are getting a Polly Pocket touch with pastel-hued hard case containers and super girly designs. The Pocket Candy Palettes ($34) each contain five colorful eye shadows, perfect for those who love a bright eye look. Bubblegum has cooler toned shadows (and an absolutely stunning magenta), Sugar Plum has pinker shades and an icy white shadow, and Pink Lemonade includes a stunning red. We know the brand has been plagued by controversies in the past but you gotta admit, it's difficult to resist adding these adorable palettes to our collection. Now that's a toy we'd definitely still play with! We still can’t get over the fact that Tom Ford is coming to the Philippines and with this latest update, we are bursting at the seams! The designer has just expanded his highly-coveted lipstick range and has decided to create a whole new collection - the Boys & Girls Lipstick Collection ($36 each)! Aside from the fact that he is keeping all fifty shades of his Boys line (including six new shades: Charles, Warren, Magnus, Connor, Alain, and Federico), the designer is adding 50 NEW LIPSTICKS named after all the women in his life. Talk about a massive addition! Available in sheer, matte, and metallic finishes, these new lipsticks are going to be super fun to swatch, mix, and match! Did we mention that the shade range is epic? From rosy pinks to popping purples, natural nudes and hot reds, there’s a shade in the collection for everyone! The new lippies launch on September 15 on the Tom Ford site but we’re waiting on baited breath for them to hit PH stores soon. You’re going to have to run to your nearest Maybelline counter once this bad boy launches. With cult faves and makeup bag staples like the Great Lash, The Falsies, and LashSensational mascaras, Maybelline has been upping their game as one of the most loved drugstore brands (and a personal fave of this writer). Whether you’re into big, full lashes or naturally long and separated ones, they seem to have a mascara for everyone. Which is why, during New York Fashion Week, Maybelline's makeup artist Grace Lee, dropped a huge bomb. The Maybelline Total Temptation mascara is the first of it’s kind, infused with coconut oil, the perfect ingredient in keeping your lashes healthy, and happy. The delicious-smelling mascara was used on the NYFW runway and as per Grace, “one coat is all you need.” The formula is super dark and volumizing, making it perfect for those who want bold and dark lashes. Set to launch some time in 2018, we’re hoping these will be released in the PH as well. Most of us need a shot of espresso just to get through morning meetings while others (okay, by “others”, I mean me) need about 3 cups of coffee just to get through the crazy workday. Coffee has a lot of beauty uses but apparently there's one more that we'd never heard of before. Caffeine is actually a key ingredient in producing stronger, healthier nails so it seems that Nails Inc. is taking our love for coffee to the next level and adding it into a line of nail polishes, perfect for strengthening brittle nails. Available in gorgeously taupe and brown shades, not only are these polishes perfect for the -ber months, but they totes will match your coffee order for the day. The Caffeine Hit Collection includes four shades: Mocha (brownish pink), Chai Kiss (rosy taupe), Espresso Martini (dark brown), and Grind (sparkly bronze). They're retailing for $11 a pop, and the collection will also include a Coffee Scrub ($15) perfect for exfoliating your hands and feet before a mani-pedi. The polishes are available on the Nails Inc. site and on Sephora. 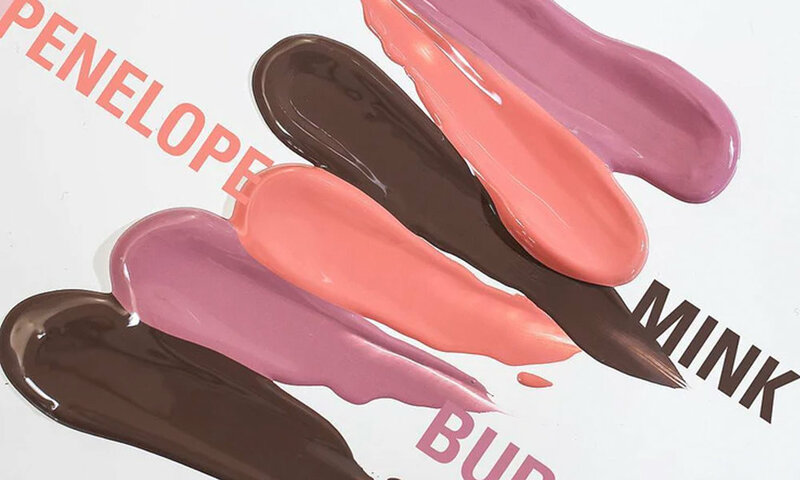 The Queen of Lip Kits has just teased yet another set of must-have mattes that will have you slaying your makeup game this month. The Kylie Cosmetics September Back to School Mattes come in three shades, perfect for the colder months and darker makeup looks. Bubble is a gorgeous lavender-hued lipstick that would look for perfect for those who want a more subtle pout. Mink is the perfect deep brown, with its cool tone and almost greyish color. Lastly, there’s Penelope (named after her niece, of course), which is the brand’s lightest shade of pink yet - a true pastel pink! The three lip kits will launch on September 15 on the Kylie Cosmetics site. No word yet on the price of each lip kit but we’re guessing they’ll be around the $29 range (just like her other kits). Good news, skincare lovers! Organic and all-natural brand Fresh is coming to the Philippines soon, care of Sephora PH! You can ready your wallets (and your face) for some of their cult classic products like the Sugar Lip Treatment with SPF 15 ($24), the Soy Facial Cleanser ($38), the Black Tea Age-Delay Eye Concentrate ($78), and the Sugar Face Polish ($62)! We’re also hoping that they include their Fresh Life Fragrances cause who doesn’t want to smell beautiful, right? You can now sign up for updates on when Fresh will be available here.